The Penny Wars have been fought, and the winner is the fight against hunger! 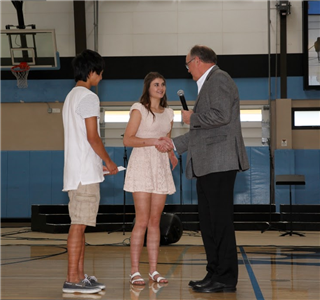 At the Gingerbread Breakfast arts performances, students presented a check for $1,313.46 to Al Brislain, Chief Executive Officer of Feeding America San Diego. Many thanks to all those who contributed to an important cause: ending hunger through good food, education and advocacy.